Breast cancer is one of the most commonly occurring types of cancer in females and also affects a lot of males. This form of cancer can be treated by using the method of radiotherapy. Radiotherapy is a treatment method in which high-energy rays are used to destroy the cancer cells and this helps in lowering the chances of the cancer coming back. Radiotherapy for breast cancer can result in the skin getting red or a little darker in the area where the treatment is performed. Another common side effect of radiotherapy for breast cancer is the discomfort and swelling of the breast or the area of the chest of the patient. The swelling as well as the discomfort might go down after a few weeks of treatment completion. But in case if the swelling continues, one must contact the doctor and inform them about the same so that it can be treated. Tiredness is another side effect which most people experience during and after radiotherapy session for treating the problem of breast cancer. Tiredness might come slowly as one goes into the treatment and this may turn into fatigue. Radiotherapy takes in lot of energy of the patient and hence one may feel weak after the treatment session. Some side effects of radiotherapy for breast cancer after the completion of the treatment sessions include firmer breast tissue and shrinking of the breast tissue. 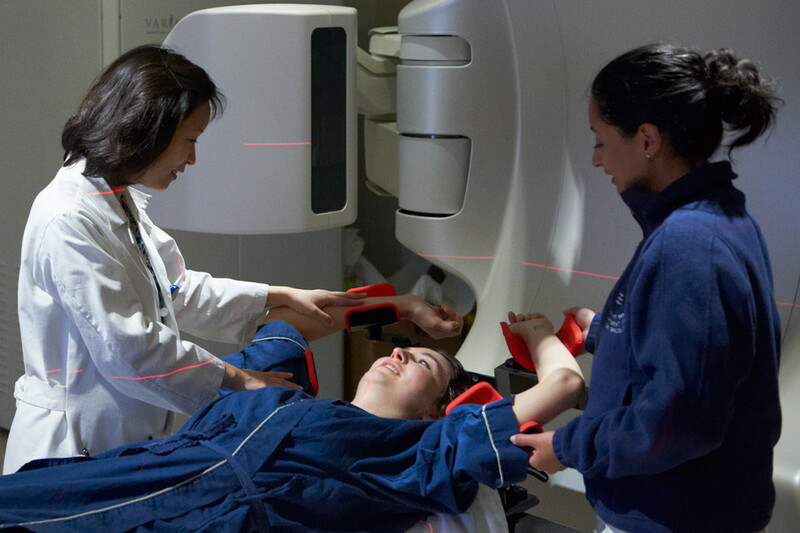 After the treatment through radiotherapy, the breast may feel hard due to radiation fibrosis. This means that the breast tissue becomes less stretchy. In some cases, the breast might begin to shrink over many years after the completion of the treatment method. Swelling of the breast area is another side effect of radiotherapy for breast cancer. If the soreness of the breast or the swelling does not decrease in a few days, then you must see the doctor at the earliest. The swelling occurs because radiotherapy causes problems with natural damage of fluid from the tissues. This is called lymphoedema.